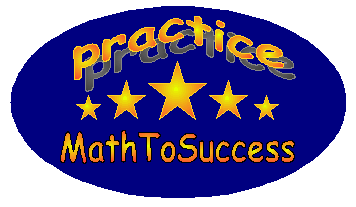 This is a demo of SAT Math Section 2. Your next practice questions in a specific program will be specially tailored for you as the system learns from your previous practices! In the following diagram, ∠M = 48°, and ∠N = 16°. What is the sum of degrees of ∠X and ∠Y, i.e. X + Y = ? Note that the diagram might not be drawn to scale and all the units are in degrees(°). Which of the following points is closest to the line y = x in the Cartesian coordinate system? Which of the following can NOT be the product of two consecutive even numbers? In the sequence of 1, 2, 2, 3, 3, 3, 4, 4, 4, 4, ...,16, ..., the pattern of one 1, two 2s, three 3s, four 4s and so on continues with 1 in 1st position and 2 in 2nd and 3rd positions. Which of the following number will be shown at 134th position? If P is a prime number larger than 2, which of the following could also be evaluated as a prime number? How many span(s) are equivalent to 160 nails? In the figure below, three vertices A, B, and C of a quadrilateral fall on the circle circumference and the fourth at the circle center O. The measure of angle ∠BCO = 52° and ∠BAO = 49°. What is the measure of angle ∠AOC? In the final year of a middle school, students can either choose foreign languages or creative arts as the elective course. of the boys. What fraction of the total students choose foreign languages as their elective? In the above figure, what is p + q? Note that the figure may not be drawn to scale. If (M − N)2 = 63 and MN = 49, what is the value of (M + N)2? If M = 2x − 5 and N = 3x + 4, for what value of x is 5M = 3N? The cost to purify a certain metal to 99.0% is $159.00 per pound. Then each 0.1% increase will cost $21.00 more per pound until reaching 99.9%. After that, each 0.01% increase will cost $30.00 more per pound until reaching 99.99%. What is the cost (in dollars) per pound to purify the metal to 99.95%? How many even numbers from -9000 to 9000 inclusively are divisible by 17? When P, Q, and R are divided by 15, the remainders are 7, 12, and 3 respectively. What is the remainder when PQR is divided by 15? If m is an integer and (m + 1)m is an even number, which statement(s) must be true?